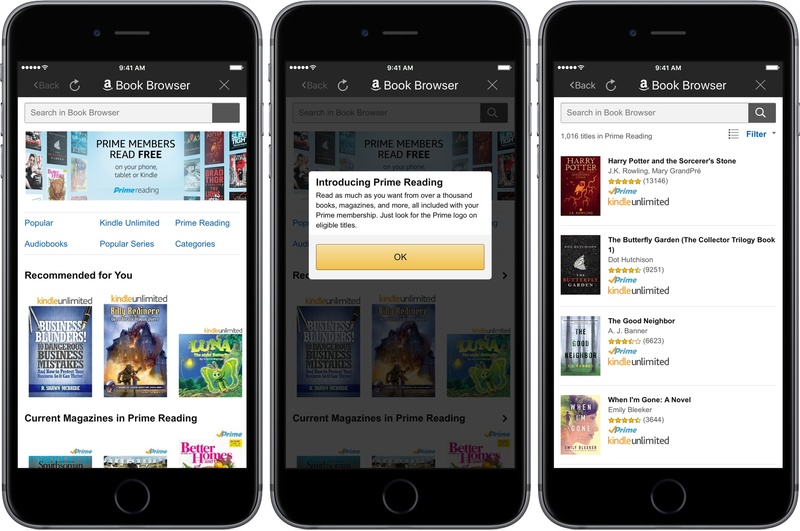 Last month, Amazon announced a new perk for Prime members in the US called Prime Reading, a collection of approximately one thousand books and magazines that Prime members can read for free. 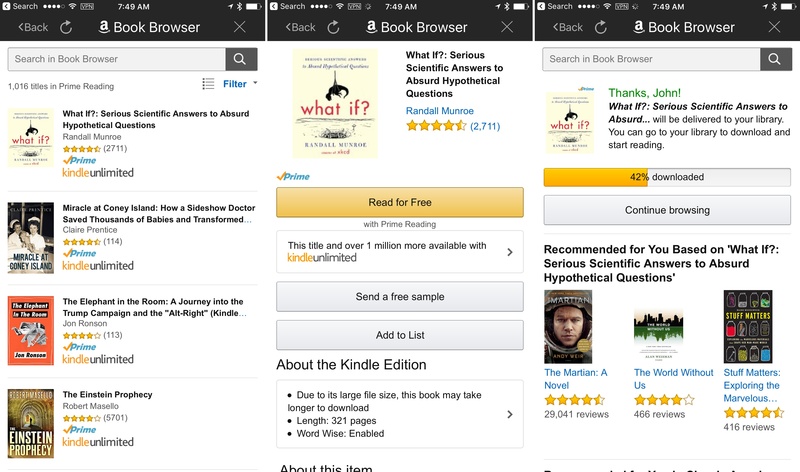 Today, Amazon added Prime Reading to its Kindle app for iOS. From the Kindle app's Library view tapping the Prime Reading link opens a searchable list of 1,016 books that are available as part of the program. The selection of books and magazines is a small fraction of what is available to purchase from Amazon or download with its Kindle Unlimited program, but it includes several classics like The Hobbit and Harry Potter and the Sorcerer's Stone, as well as newer selections like What If? : Serious Scientific Answers to Absurd Hypothetical Questions and the first volume of the Scott Pilgrim's Precious Little Life graphic novel series. Also, unlike paid Kindle books, which you can only purchase from Amazon's website, Prime Reading books can be downloaded directly within the Kindle app, a reminder of how I wished the app worked for all books. Adding a Prime Reading book.